I feel that I have a good understanding of the many theories and concepts associated with adolescent development. However, although I have studied many of these concepts, there are a few that I have not experienced firsthand. As a result, I would consider these to be my weaknesses in this field. Two concepts that I am not particular familiar with are working with students of different cultures, ethnicities, and socioeconomic statuses, and working with troubled individuals. I have spent the majority of my educational career in private Catholics schools. As a result, I have had very little exposure to anyone of another race, religion, or socioeconomic status. In order to familiarize myself with people of different backgrounds, I hope to interact more with public schools. This summer I plan to tutor students. I have already sent contact information to public schools in my area in hopes to work with students who are more culturally diverse than those from my previous classes. I also hope to do more volunteer work next year. A program at Ball State I have developed a sincere interest in is the College Mentor’s For Kids. This is an after-school tutoring program that pairs underprivileged youth with Ball State students. Both of these opportunities would allow me to work with students of different backgrounds. Another area I consider myself to be weak in is that of understanding and relating to troubled youth. As I mentioned previously, I attended a private school in which there was very little diversity. 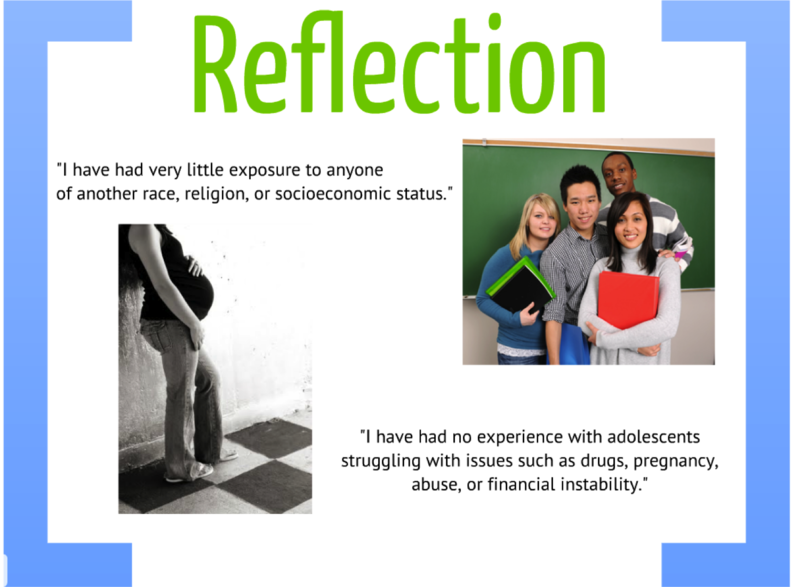 I have had no experience with adolescents struggling with issues such as drugs, pregnancy, abuse, financial instability, etc. All of these issues are things that many students face in today’s society. In order to be an effective teacher, I must be able to communicate with students struggling with these and other social issues. In order to be more confident and comfortable working with students struggling with these issues, I hope to take a class focused on sociology or psychology to learn more about these types of issues. One class I would be interested in taking here at Ball State is sociology 242. 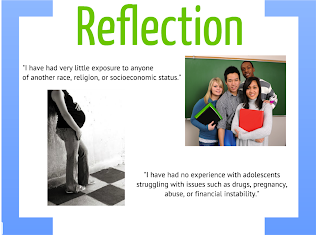 This class focuses on various social problems within American society. By working on these weaknesses, I hope to become a more well-rounded and effective educator in the future.